Ozone safe plastics are used extensively in the food processing industry, water purification, and medical industries. Ozone has many industrial uses. It is an extremely effective disinfectant and deodorizer. 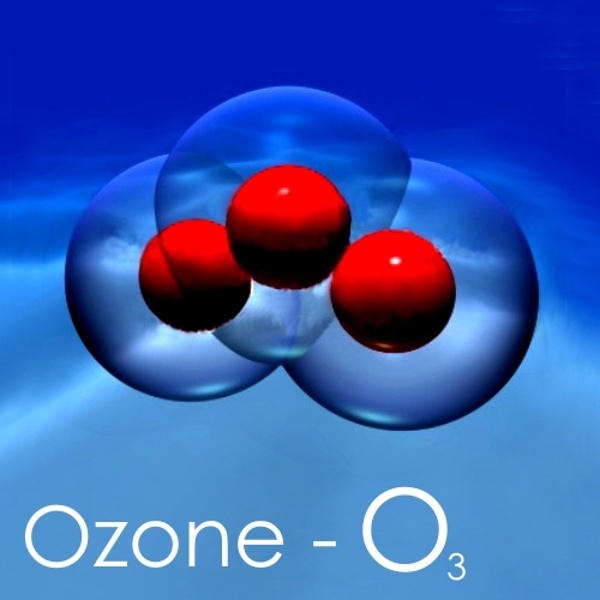 Ozone is also used to kill bacteria and mold spores. Ozone can be applied in a dissolved state and introduced into water or as a gas (Disinfection with Gaseous Ozonation). Ozone is also highly corrosive and is considered an air pollution hazard. Although many different types of plastics have properties which make them suitable for use in an ozone environment many other plastics are highly vulnerable to degradation when exposed to ozone. The plastics that are ozone safe are used in ozone generating equipment in several industries and have replaced many more expensive materials such as metal components and fasteners. 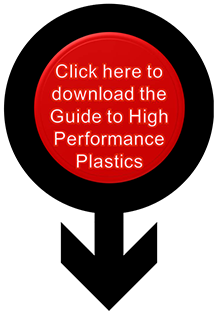 We’ve put together a list of the eight best ozone safe plastics to help guide you in your material choice. Chemical resistance ratings for plastic run from A for excellent to D for poor. 2) Polycarbonate: Polycarbonate is another ozone safe plastic with an A excellent rating. The glass filled grades have tensile strength approaching that of Peek. They are slightly less heat tolerant but possess excellent insulating properties. Polycarbonate can also be molded to be clear, making it an excellent choice for gauge faces or see through visors. It also has good creep resistance and has a temperature independent dielectric constant. 3) CPVC: Chlorinated PVC has an A excellent rating and is an ozone safe plastic. It exhibits very little if any water absorption which can make it an ideal choice for diffusion or venturi systems which entrain ozone gases directly into water. 4) PTFE (Teflon): PTFE also is an excellent ozone safe plastic. It carries an A excellent rating for exposure to ozone. 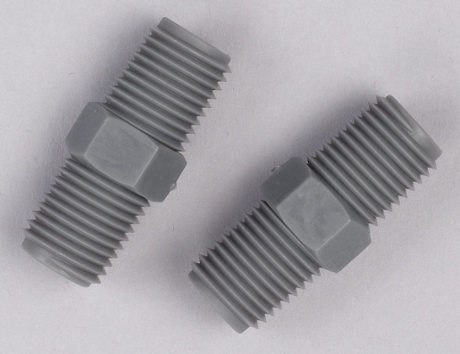 PTFE is ideal for a design exposed to extreme temperature variations. Teflon is tolerant from temperatures of -100 deg F to over 500 deg F. PTFE also exhibits good chemical resistance in general. The major downfall of PTFE is that it is mushy in texture and is not strong. However, PTFE is used as an excellent chemical resistant coating over stronger materials. 5) PVDF (Kynar): Kynar is another ozone safe moldable plastic which carries an A excellent rating in ozone environments. It does not possess the tensile strength or the temperature range of some of the other materials listed but never the less is an excellent choice in applications that do not require those properties. 6) PVC (Polyvinylchloride): PVC carries a B good rating when used in an ozone environment. A B rating indicates good resistance to ozone but minor effects may occur such as slight corrosion and discoloration. If cosmetic appearance is important in your design this material should be avoided. In such cases, CPVC possess all the properties of PVC and has an A excellent rating. 7) ABS (Acrylonitrile Butadiene Styrene): Again carries a B good rating when used in an ozone environment subject to minor discoloration and corrosion. ABS however is widely used for mechanical drive parts as it possesses excellent toughness and impact resistance. When used in mechanical assemblies in ozone generating systems where concentrations are low, this material is an excellent choice. 8) Polyethylene (PE): Polyethylene carries a dual rating a B good in water and a C fair in air. A C rating is not recommended for continuous use in an ozone environment. However. in a water based ozone generating system, its excellent lubrication qualities makes it an excellent choice for bearing surfaces. Several common plastic and rubber materials carry a C “fair” rating. These materials are not recommended for constant exposure to ozone and can suffer softening, loss of strength, and swelling if used in a continuous ozone environment. These include Acetal (Delrin), Neoprene, and Polypropylene. These materials are not ozone safe should be avoided in new designs where constant ozone exposure is possible. Plastics, rubbers, and elastomers which carry a D “poor” rating should under no circumstances be used in applications where ozone is present. D rating materials include all nylon materials and all natural rubbers. Poorly rated materials are severely affected by ozone exposure, causing severe cracking, splitting, and corrosion. Any materials not listed here should be avoided due to lack of testing and historical information available. Looking for more chemical resistance data? Download our material guide for a full chart.